I am heading a small society named "Research Institute of Loudspeaker Systems and Related Technologies (see link). It pursues developing and publishing useful technologies. There are many professional engineers and researchers worldwide; however, no professional has ever got success in multiple degree of freedom cavity resonator area. 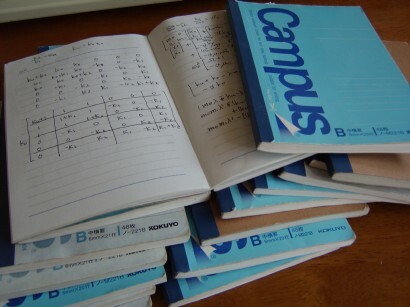 Above picture is my memorandum notebooks. I always bring a small notebook in order to record my ideas. I illustrate my multiple degree of freedom models and momentum equations. These notebooks are some of my records of MDOF-CR development. Idea of models, equations, algorithms and hand-written drawings are recorded in these notebooks. I think audio professionals should lead technologies; however, non-professionals are already go ahead from professionals in some area. Therefore my group have reasons of its existence.